Great write-up @DarthPool as usual. Very entertaining and a great read. . Non the less, I had a chance to give this a listen as well. Thoughts below for those still curious about how it sounds! iFi Audio is at it again! 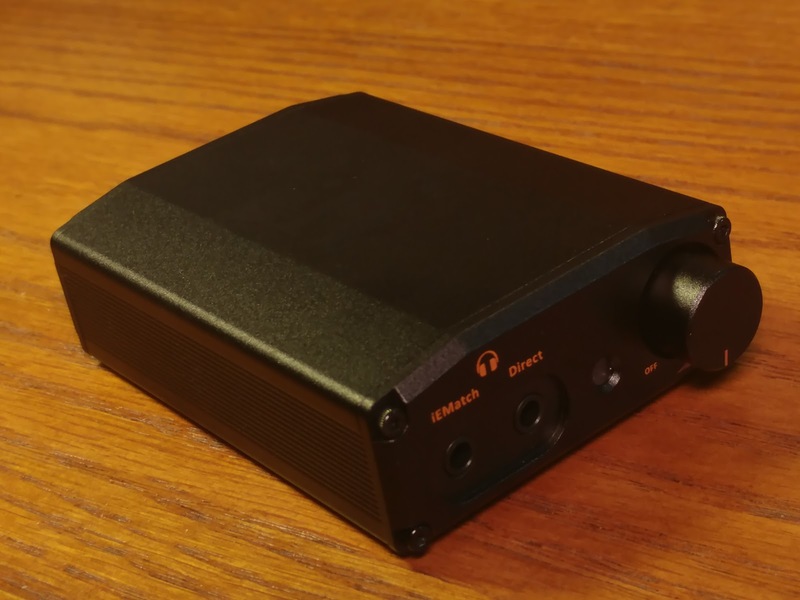 This time their latest Black Label product the iDSD Nano brings MQA support into the portable realm. Overall I found it’s sound to be spacious and black with a super light compact body and priced right at $199 . The product’s well built with minimal seams in the chassis and non-invasive screw placement. It features a unique USB Type A male connector housed seamlessly into the chassis. It’s well built and light, the power switch is built into the volume knob and otherwise the only other moving part is the digital filter switch on the back. The 3.5mm and USB connectors are solid with no wiggle or play. My only gripe is the volume knob wiggles just a little, and there’s a noticeable jump about 2 dBs up halfway through it’s rotation. Otherwise it works, I didn’t have any issue with it slipping or self rotating while I had it stashed in my hoody. The front side also features two different 3.5mm outputs, iEMatch and Direct. iEMatch is optimized for low impedance high sensitivity headphones and iems. Direct is suited for normal or more traditional impedance and sensitivity ratings. 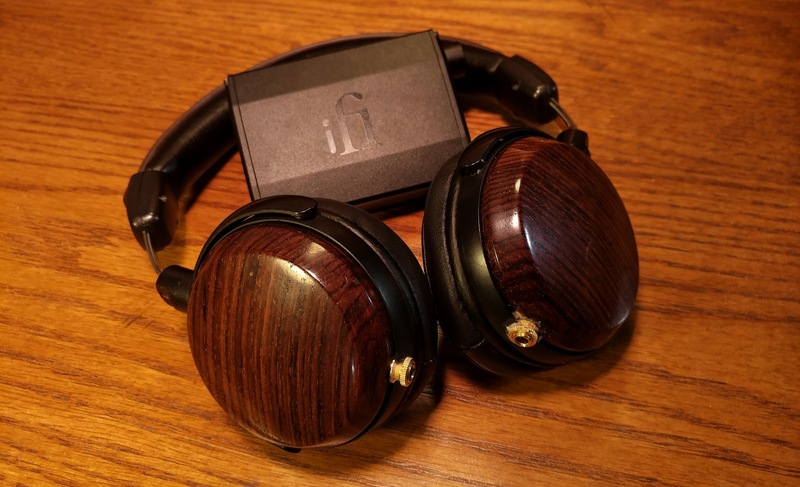 The only headphone I had that benefited iEMatch was my HD 25-1 ii and even then it was only marginally quieter. Otherwise I ran everything else through the direct port. As always the iDSD Nano arrives within iFi Audio’s gorgeous packing brimming with goodies. This time they included a little soft felt pouch, a USB 3.0 Type A Cable and a 3.0 Type A female to Type B female so that you can hook it up to an existing USB Cable you already have for another DAC. Pretty handy as I have quite a few USB B’s I use for the various Dacs I have in home. There was also a little sheet of paper with some optional rubber feet that I did choose to install. No analog cables this time how ever, just digital. Part of me wants to believe there’s a little black magic at work here, but alas I know it’s only electrons flowing to an fro. That said, the iDSD Nano Black Label sounds amazing and is characterized by a wide spacious sound with an excellent black background. Part of it’s blackness has to due with the dual outputs, there’s a Direct and IEMatch port. Direct for normal sensitivity headphones and IEMatch for high sensitivity headphones and iems. You can also run 3.5mm Balanced into either and achieve an even quieter output. I also liked how it’s uniquely wide imaging also improved the quality of my owning lossy streaming listening. I typically shy away from streaming for reviews, but both Spotify and Napster set to 320kbs gained a subtle but noticeable more spacious presentation. This level of clarity I also enjoy from my Geek Out v2+ but the iDSD Nano Black Label presents this without emphasizing so much of what is lost like the Geek Out v2+ sometimes does. I do appreciate that iFi has voiced this product in such a way that it compliments the more closed in sound of lossy, especially at this price point! Tonality of the amp did change depending on the filter selected, with the Listen filter engaged it had a warmer tonality with a nice focus on the transients that follow after each individual note, how ever the lows were a bit thicker, in contrast the Measure filter tightened up the presentation for the entire spectrum as a whole but didn’t have as sharp of a focus on transients. For the most part I enjoyed the Listen filter the most, as it offered the most natural and resolved presentation. Measure was more often than not too dry and sometimes harsh, though about 1/10 of the headphones in my collection actually did sound better with the Measure filter! The HE 4XX being the most notable of them. Hifiman’s Massdrop collaboration the HE 4XX is it self a thicker sounding headphone with a nice focus on transient balance. Resolving equally well both micro detail and ambient noise. What I found is with listen, while the resolve was even better the sound as a whole lacked impact. Switching over to measure breathed life into the HE 4XXs presentation without tilting the balance of resolve too aggressively toward ambient noise. Meaning, while micro detail didn’t pop out as much, macro detail or ambient noise also wasn’t over emphasized. All in all I felt with the Measure filter the HE 4XX was equipped for every and all genres of music! It’s own thicker intimate signature pair’d well with the iDSD Nano Black Label’s spacious imaging and the added edge of the Measure filter. Even better the iDSD Nano Black Label never presented me with too little head room I always had more than enough range on the volume knob. With my Ypsilon G1 and many others, the listen filter was the best. This Grado style DIY headphone has a nice forwardness in the upper mids with good balance in the rest of the spectrum. The iDSD Nano Back Label kept that nice edge in the upper mids without softening the rest of the spectrum to much. I found it kept a good texture in the bass while still adding a little needed body. The upper mid peak was also lessened a little by some added bloom and decay within the lower and central mid range. This fairly balanced dynamic sounded phenomenal with just the iDSD Nano Black Label! These two made for a super easy to carry around combo, as each is light weight and simply pleasurable to listen with. Now power wise, I did find the iFi iDSD Nano Black Label to be lacking a little with my HD 800. While it had enough voltage to get loud, I found insufficient in providing the power needed to bring the HD 800 to life. That said, I did pair up the Line Out into my APPJ PA1502A SET Tube Amp. 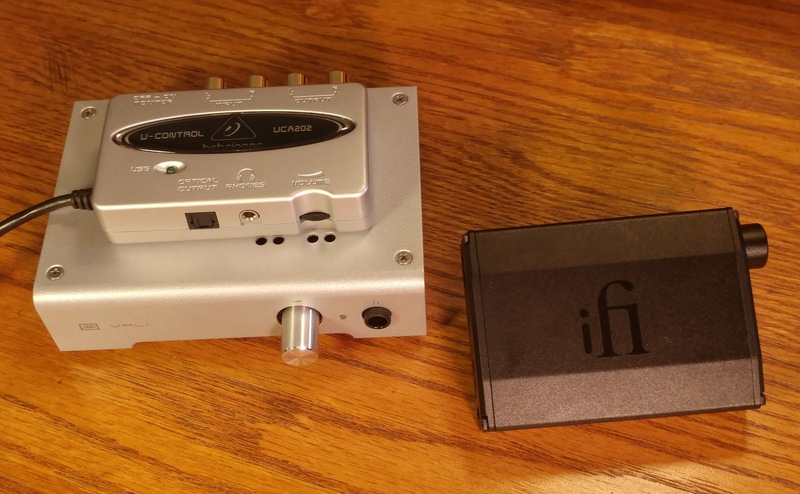 I also took this time to compare the Line out of the iFi Audio iDSD Nano Black Label to that of my own Behringer UCA 202. With the APPJ 1502A the difference between the two was obvious, the iDSD Nano maintained better tactility with more texture in the lows. In comparison the UCA 202 had some ringing in the mid range in addition to a some what congested sound even with the HD 800! Switching back to the iDSD Nano Black Label I always appreciated how the sound opened up! The only real advantage the UCA 202 seem to have was how clearly it resolved breaths. Human breathing and breathing alone stood out just a bit better with the UCA 202 than it did on the iFi iDSD Nano Black Label, though this advantage is only obvious on tracks featuring a solo or duet where congestion is a non-issue. With larger Jazz ensembles or classical orchestra’s the iDSD Nano Black label again reigned supreme. I also took the time to see how the UCA 202 Line out into my Vali 1 would compare again’st the iDSD Nano Black label running as both an DAC/Amp. For these impressions I went back to my Ypsilon G1 headphone. Once again, I found the UCA 202 and Vali 1 pairing to have some congestion, while both sources were quite cohesive with their respective amps. The UCA 202 still struggled with larger bands or scores. Ultimatley the iFi iDSD Nano Black label proved it had better balance, resolve and imaging overall. Though, the Vali 1 and UCA 202 did present a uniquely sweet wonderfully stunning and beautiful mid range in comparison to the iDSD Nano Black Label. This benefit though didn’t compensate for the systems overall inability to properly present space. I suppose if you find your self listening to only classical duets or solo’s then you may be able to sustain your self with such a system for only around $100. 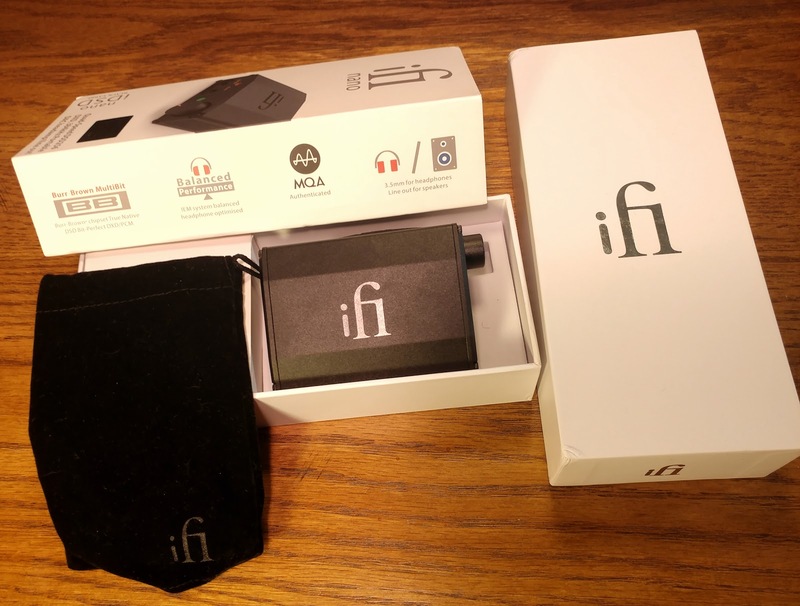 Other wise if you enjoy a larger range of music then you’ll get not only a better quality of sound overall but the benefit of portability with the iFi iDSD Nano Black Label! Being a DAC/Amp combo only the iDSD Nano Black Label does require both a graphic interface and storage interface for playback. So I decided to see how it compared to some of the DAPs in my collection that it prices just above. The first of which was my Hifiman HM601, each had their own strengths and weakness as far as resolve went. How ever the iDSD Nano Black Label had better tonal balance and imaging overall. In some cases the HM601 proved to have better micro dynamics and micro resolve. As I found transients and small gradual volume increases were resolved with phenomenal clarity from the hm601… assuming your using a pair of complimentary headphones. My Ypsilon G1 was too sensitive and picked up on the nosiness of the onboad amp in the HM 601. 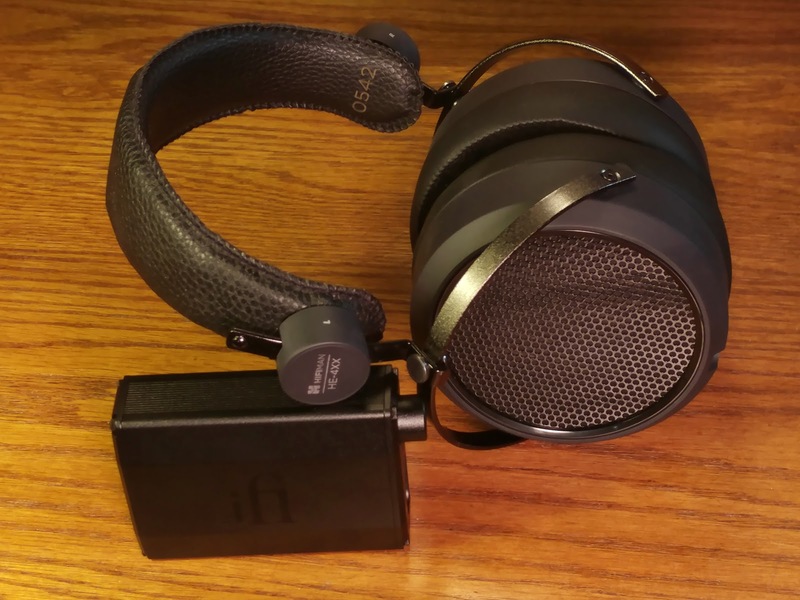 Though my ES 10 did better and took advantage of the HM601s amazing resolve, but my HE 4XX did not. For the most part my HE 4XX was too thick that any gained resolve was lost in the ocean of decay. So thicker headphones will suffer when pair’d with the HM 601, it’s intimate sound stage also holds it back. 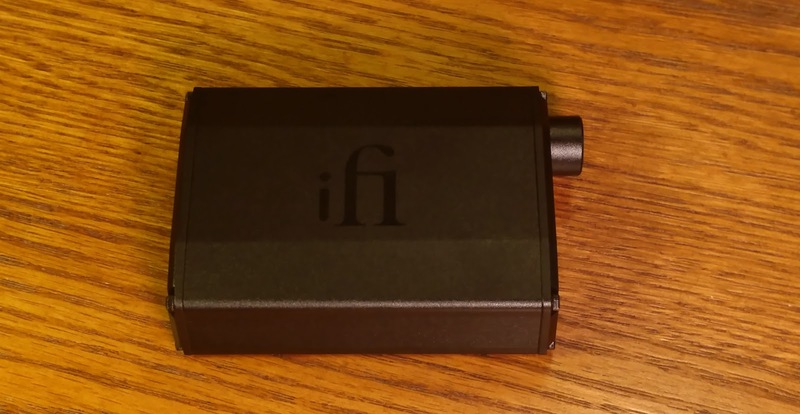 In contrast the iFi Audio iDSD Nano Black Label offers two distinct filters to widen it’s “complimentary” range or scope. Using Listen for my Ypsilon G1 and ES 10 there was again better tonal balance overall and I enjoyed Measure with my HE 4XX. So there was never a problem of a “bad pairing” as each filter had a distinct enough difference to compliment almost every headphone I threw at it. While resolve alone was not always as immersive, the combined performance of both resolve in relation to imaging was. More intimate pieces of music found an increase and clarity from the iDSD Nano Black Label, where as with the HM601 they were often too close sounding. Additionally both ambient noise and spacial cue’s where clearer with the iDSD Nano Black Label over the HM 601. So while the HM 601, when pair’d with the right headphone, resolved more transient information relating to the individual instruments themselvs. The iDSD Nano Black Label, with any headphone, presented more information relating to how that instrument was placed within the space it was recorded in. At times this lead to an almost… fuller more real to life sound, as the music as a whole had a more vivid envelope. It’s easy to get lost into the individual instruments when listening with the HM601, but moving up to the iDSD Nano Black Label suddenly the entire band’s presence in relation to one another is clearer. For example the decay of the double bass s in Mile’s Davis So What adds a nice fullness that blends nicely with the falling edge and echo of the horns. The littlest of details like this is something I expect and usually look for in higher priced products so I was surprised to hear it while listening on the iDSD Nano Black Label. Shanling’s M2S still holds my recommendation as by far the best single all in one portable music solution, and for those of you who want a nice upgrade from it without spending as much and having to daisy chain a DAP to an Amp. 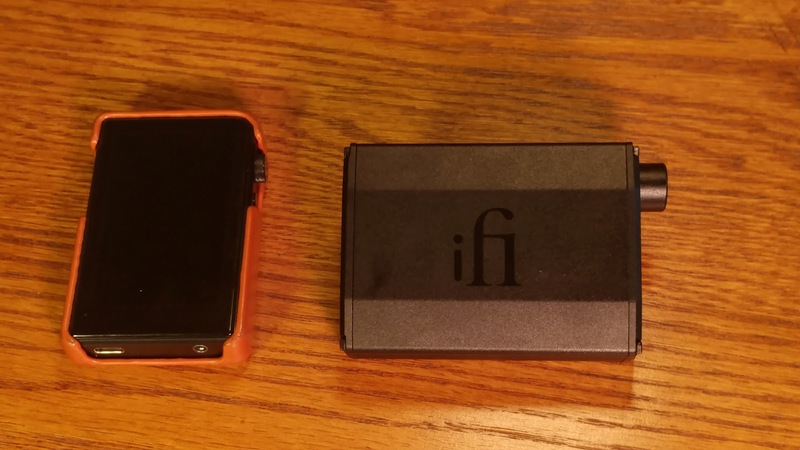 The iFi iDSD Nano Black Label would be my recommendation, as it keeps to a small light weight and convenient form factor. This is even more true if your wanting to take advantage of Tidal’s MQA Masters or other streaming services. The two share a similar balance doing many things right and having few actual faults. What the iDSD Nano Black Label brings is an even more resolved sound with a more flexible tonality. The Listen filter really reminds me of how the M2S presentation with the Measure bringing me back to my time with the Cayin N3. 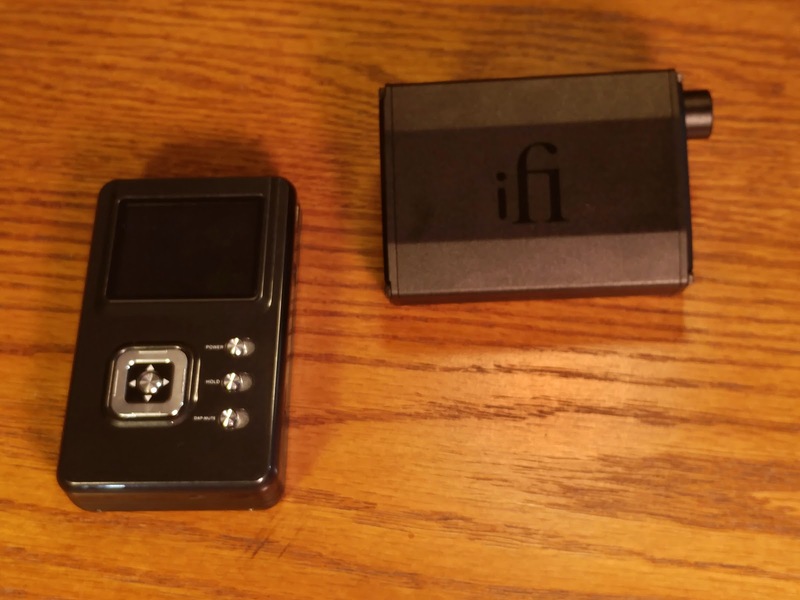 Except the iFi iDSD Nano Black Label offers more power and resolve than both. So those of you who may not need blutooth support but want MQA and streaming support and intend to use your cellular phone/laptop top or desktop as a source will find a noticeable improvement in upgrading to the iDSD Nano Black Label. Now in my video review I choose not to comment on the MQA Playback for the iFi iDSD Nano Black Label. This was because I do not have Tidal my self nor access to to it, how ever I had the chance to finally hear the iDSD Nano Black Label with an MQA Master!!! For better or worse I waited until after I listened to the MQA Master to take my pic, the meet was a little busy so I didn’t have prime time for arranging everything as I wanted. 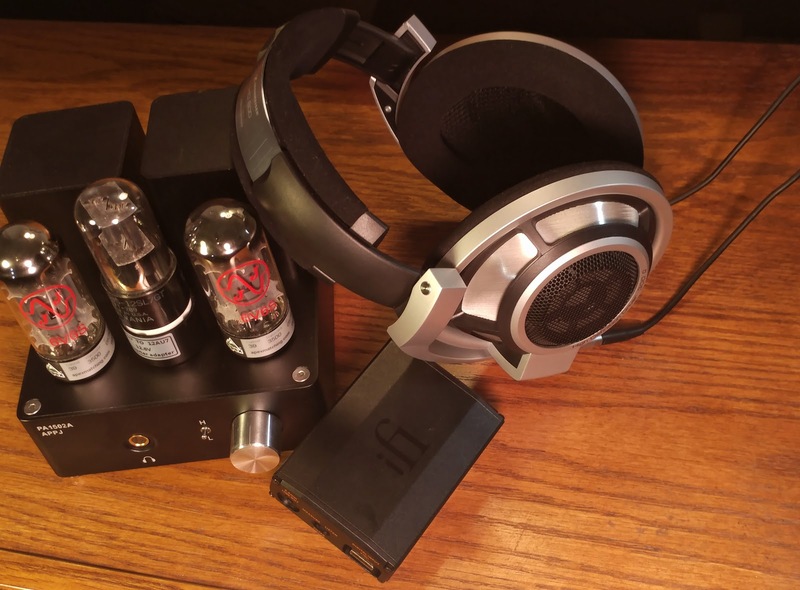 Non the less, I took the iFi iDSD Nano Black Label for a spin with some Megadeath! I choose their Rust In Peace album and took Tornado of Souls for a listen, I did so with my ZMF Eikon and the iCan Pro Amp set to Tube-output. An WOW I was yet again impressed with how clear and vivid the sound was. While the music was un-familiar to me the level of resolve I heard was not, in switching between the MQA Master and Non MQA Master there was indeed an increase to the spaciousness and blackness overall. 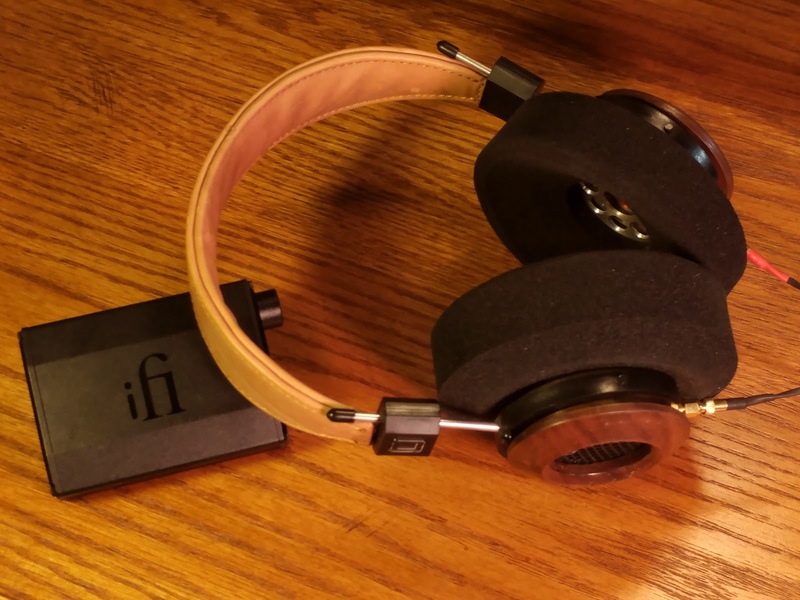 While MQA Masters don’t take the iFi iDSD Nano into the “next level” I felt it was enough of an improvement to maybe justify a Tidal Subscription… maybe. The sheer convenience of both Tidal and the quality of it’s MQA Masters really encapsulate what the iFi iDSD Nano is about! Quality and convenience packaged in a light weight easy to use form factor without compromise. 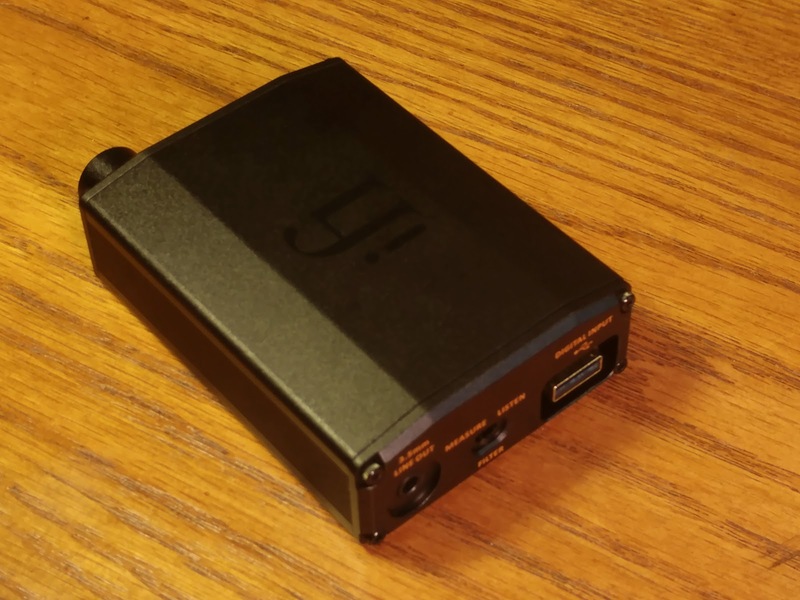 So for those of you maybe looking for the ultimate in light weight listening, your Cell a Tidal Subscription and this little magic black box might be all you need! I won’t say it’s the most cost effective solution, but again it’s by far one of the most liberating. What ever music you want, where ever you want it, without the fuss of managing a myriad of SD Cards or a library of offline files, you don’t even have to hunt for the “perfect Master” either as again Tidal’s taken that time to procure it for you! If Tidal continues to expand it’s MQA Master library I may even buy into the madness… maybe. iFi Audio have once again been the first to launch another amazing product in an emerging market. It’s light weight small size and sheer functionality combined with MQA rendering really make it a highly competitive portable for today’s growing market of streaming consumers. I even found it to subtlety help open up the often closed in sound of lossy from my own Spotify and Napster streaming services. All in all any one searching for a highly functional portable Dac-Amp to serve a collection of both super sensitive iems and moderately sensitive fullsize/portable headphones across a wide variety of both digital sources and playback rates will be hard pressed to find better option at this price point! This is my current office setup, I’m using it with the Elegia. I like the small footprint it has. I can’t get the light to be anything other than green. I’ve ripped cd’s to FLAC they show that they are flac files, but when paying back I only get a green light. Players I have tried are media player, VLC, 5K player and foobar. Also, I joined TIDAL hifi level and even when playing masters the light is still green. The LED is supposed to be green for PCM content at 44.1, 48, 88.2 and 96 kHz. Your CD rips should be 44.1 kHz and will show a green light. For MQA (Tidal “Master”) read this thread and make sure you have the settings it talks about, as well s being on the 5.30 firmware. I’m off to read that thread now. You can probably start reading it from this post. No luck however. My unit does have the 5.30 version. Could be my windows 7? If the appropriate iFi driver is installed, you have the indicated settings in TIDAL and you’re not doing volume control in Windows then there should not be a problem with Windows 7. Beyond that, since I don’t use Windows, someone else will have to chime in. For MQA specific issues you’ll want to post in this thread, though. You’ll get a better response there. I’ve also got help tickets pending with ifi and tidal. TIDAL tech got back and went through settings…still green. IFI yet to reply, hoping I don’t have a bad unit. Hello and welcome @nmktmark. If @Torq can’t help you find a solution then you certainly do have a conundrum on your hands. Seriously though I do hope that you find a solution soon. Things like this are really frustrating. Best wishes. Messed about with the settings continuously back and forth with tech help and looking up on line. My windows 7 was the culprit. Thanks again for the help folks.